In summary, despite the projection uncertainty, there appears to be more on offer for bulls than bears. Although context should be drawn from a January 2011 projection which currently requires the S&P to rally by over 6% in the space of a couple of months, just to meet the low-end of the 95% confidence interval range! Looking at the January 2011 projection, at the time of writing the S&P was trading at 1,276. One year later it was at 1,316, a 3% gain; this failed to meet the low-end expectation of the 1-year projection. Effectively, the S&P at the end of January was well below the bullish expectations of a year ago. Since then, the S&P has managed to add another 7.5% to make its position more respectable, but has it reached a point where it could be considered fair value? 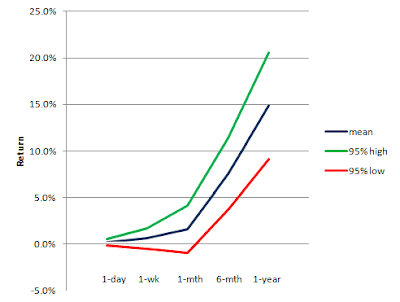 As of March 26th the S&P was 12.0% above its 200-day MA, 4.6% above its 50-day MA and 2.4% above its 20-day MA. How has this compared in the past? While the S&P is currently bullish it falls just outside of the top 10% of bullish extensions from the 200-day MA (No. 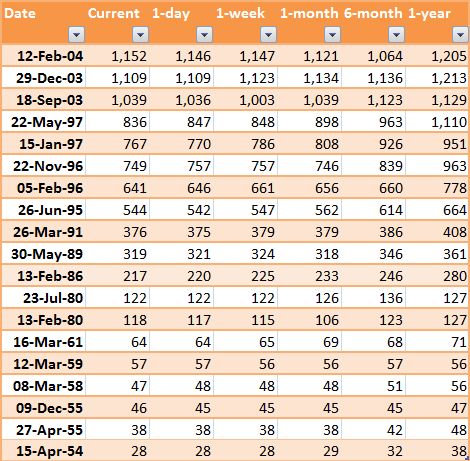 1 spot is held by November 3rd 1982 when the S&P was 23% above its 200-day MA). Looking back to 1950 there were 19 historic matches to the current scenario. Interestingly, back in November 2011 the S&P was matched to April 2003; currently the S&P is matched to September 2003, so the events of 2003 still hold relevance. The other aspect of note was the clustering of matches; three for 2003/04, five for 1995/96/97 and three for 1954/55. All clustering occurred in strong bullish environments. In fact, with the exception of 1959, all the matches offered a bullish outlook for the year ahead. Whether the S&P disappoints on that projection, as taken from January 2011, remains to be seen. 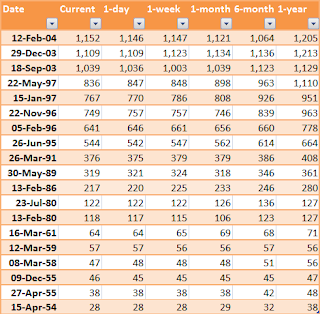 Of the 19 matches, only in 1980 was there a significant decline in the month following the match - shifting a 10% loss before recovering a net 4% gain after 6 months. So while future weakness can never be excluded it would be surprise if losses lingered beyond 6 months. 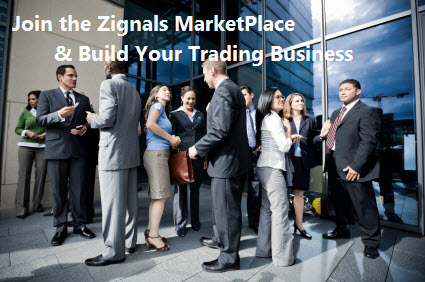 Traders can use Zignals Alerts to help track the S&P or its SPY proxy.